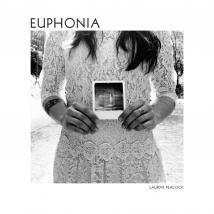 Nashville-based musician Lauryn Peacock’s sophomore album Euphonia combines piano with lush arrangements for memorable, moving melodies. The vocals shimmy and simmer. Soft and gentle and soothing on “All My Mind” and “February Song.” Just this gorgeous high and sweet octave range. The songs provide a dance-trance groove with depth in the lyrics. The lushly arranged and gorgeous seven-minute track “Weighted” sounds like the film soundtrack for a bittersweet love story. The unusual instrumentation provides the weird circus feel and staccato beat of “Wounds Grow Grass.” With vocals and swirly mesmerizing songs reminiscent of Lush, Curve and Chvrches, this is a collection of exquisitely dark indie folk songs with ambitious orchestration and instrumentation. Peacock earned a Master of Liberal Arts degree from University of Pennsylvania where she focused on the pedagogical nature of Bob Dylan’s work to the 60s Civil Rights movement and the pedagogical nature of arts to our cultural zeitgeist. Peacock started playing piano at a young age as her mom taught Suzuki piano. She later played house shows in Chicago with Wilco’s Jeff Tweedy and toured with mewithoutyou. This entry was posted on August 1, 2015, 18:47 and is filed under Music. You can follow any responses to this entry through RSS 2.0. Both comments and pings are currently closed.